Pickerington residents and their guests will get a taste of all the city has to offer when they explore the Taste of Pickerington, the Marketplace and the new Mount Carmel Health Fair on Saturday, Oct. 5. The events, which are hosted in Olde Pickerington Village on Columbus Street between Center and Cross streets, run from 11 a.m. to 3 p.m. and are expected to attract close to 80 Pickerington and Violet Township restaurants and businesses. For just $1, residents can tantalize their taste buds with temptations from participating restaurants. These restaurants will whip up confections, beverages and entrees to compete for Best Dessert, Best Beverage, Best Entrée and Most Healthy. While a panel of judges will taste-test the delicacies, the people of Pickerington participating in the event will choose which restaurant or caterer will win the coveted Purple Spatula Award that will hang in the restaurant until the next Taste of Pickerington. “We encourage our restaurants to offer several samples, and we encourage them to offer something they are not known for,” said Helen Mayle, president of the Pickerington Area Chamber of Commerce. At the table of competition, the Pickerington Police Department will challenge the Violet Township Fire Department once again in a pizza-eating contest sponsored by Tide Dry Cleaners, with donated pizzas from Uno Chicago Grill. The Pickerington High School Central and North football teams will also exchange their helmets and pads for napkins and wings as they chow down on the sumptuous morsels in the wing-eating contest, also sponsored by Tide Dry Cleaners. After taste-testing, residents can visit the Marketplace, a place for Pickerington and Violet Township companies to share their wares with potential patrons and promote their businesses. It’s an opportunity, said Mayle, for residents to shop at home and discover the services that local businesses have to offer. “They get to market their business to a large crowd right before the holiday season, capture sales and, most likely, reach a new audience,” said Mayle. New to the festivities is the Mount Carmel Health Fair, which will include blood pressure checks and minimal testing, health care professionals and businesses that promote wellness, and health-related demonstrations. 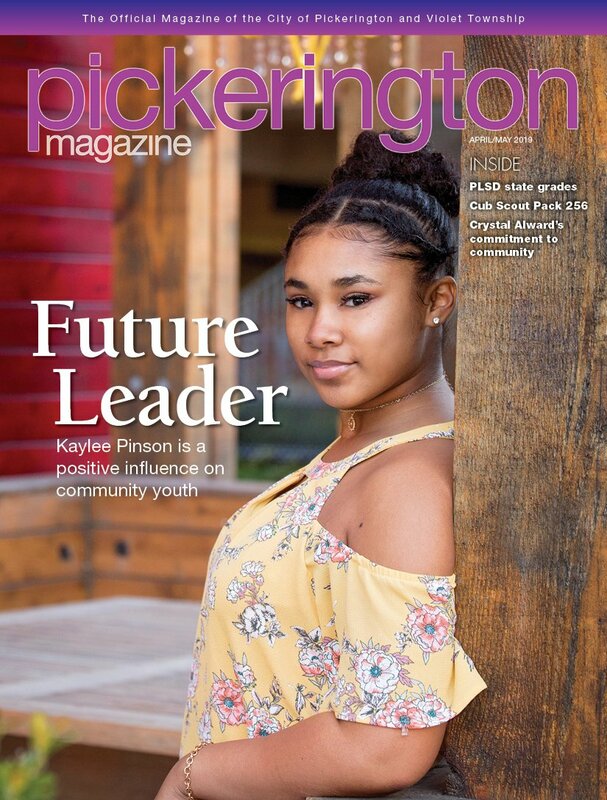 Children can experience Pickerington pleasures in an area just for them. The fun includes activities from the Pickerington Public Library, costumed characters, crafts, face-painting and visits from the Pickerington Police Department and Violet Township Fire Department. Entertainment for the spotlight on Pickerington is provided by local band The Love Benders. All of the events provide residents with a chance to sample all the city has to offer. Olde Pickerington Village is the place to haunt for a magical evening on Wednesday, Oct. 30. At the strike of 6 p.m., the city will undergo a transformation that will cast a spell on all who attend The Haunted Village. There will be free ghost tours that mystify the young and old alike and a haunted museum where Pickerington history comes back to life. To awaken the spirits, villagers can enter businesses and restaurants to trick-or-treat, shop or eat. Food vendors will also offer their own potions and concoctions to conjure up the appetites of visitors to the Olde Village. After filling up on all the treats, visitors can hop a wagon for an old-fashioned hay ride through the city. The haunting is sponsored by the Pickerington Parks and Recreation Department, the Olde Pickerington Village Business Association, the Pickerington Lions Club and Rock Factory Art & Music Studios. But be careful not to miss the fun – the bewitchingly enchanted evening ends when the clock strikes 8 p.m.
For a howling afternoon of fun, young trick-or-treaters can haunt Pickerington City Hall on Thursday, Oct. 31. The city’s annual Tot Trick-or Treat will be held from 1:30-2:30 p.m. at 100 Lockville Rd. The enchanting event provides children ages 2-5 with an opportunity to don their costumes and wander with their parents through the kid-friendly, Halloween-decorated city hall. For the older goblins in the home, Pickerington’s community-wide Trick-or-Treat will cast its spell that same evening from 6-8 p.m.
Kyle Schrader may not be known to Pickerington residents as “Mr. Fix-It,” but the city’s new utilities treatment operator definitely has the skills to keep the water treatment plant running efficiently. Before joining Team Pickerington, he owned Team Schrader, a construction company, for two years, and he worked as a carpenter for Corna Kokosing Construction Company for six years. He has earned certifications as a journeyman carpenter from the state of Ohio and a chemical certification from the Ohio EPA. “Kyle’s construction experience will be invaluable with the ongoing maintenance needs at the treatment plant,” said Gary Armentrout, chief operator of the water treatment plant. In his new position with the city, Schrader will be responsible for the operation and maintenance of the water treatment plant during the week and the waste water treatment plant on the weekends. To enhance the tools of his trade, Schrader is taking a course to earn his Class I operator’s license and then plans to pursue his Class III certification so that “Mr. Fix-It” is even more prepared when the city needs him.